Each night, groups ranging from two to twenty visit some of the city’s most haunted spots with Chattanooga Ghost Tours. Countless photographs of ghoulish beings have been captured over the years leaving many to ask, "How is that possible?" According to the professionals at Chattanooga Ghost Tours, ghosts can manifest on film in the form of unexplained light orbs, mysterious smoke, mist not visible to the naked eye, called an ectoplasm, or even as a face or full body apparition. Until Chattanooga Ghost Tours began sharing the city’s spooky history, many ghostly tales had largely been swept under the rug, much like Underground Chattanooga – which was paved over almost 150 years ago to escape the relentless floodwaters of the Tennessee River. 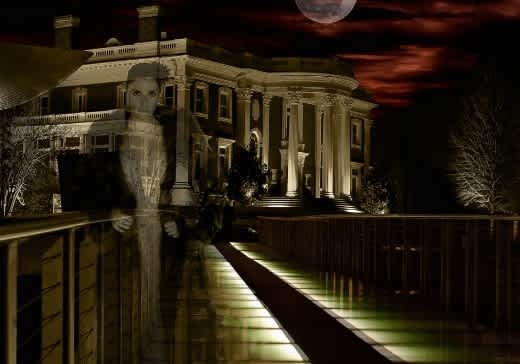 Turns out, Chattanooga is full of apparitions, chilling encounters, and unexplained activities in some of the city’s top downtown attractions – including sightings of Ulysses S. Grant’s spirit in a prominent downtown condo. Wars, monumental floods, jealous lovers, and estranged families have all contributed to Chattanooga being one of the most haunted cities in the South, right behind New Orleans and Savannah. Although you aren&apos;t guaranteed a photo of an orb or an ectoplasmic experience, you are sure to have an intriguing and haunting evening filled with vibrant storytelling that unearths some of Chattanooga’s lesser-known history on a ghost tour. New routes give guests a chance to experience more ghost sightings and learn about the Scenic City&apos;s past on a easy walk through the city. If you&apos;re looking for something a little more adventurous, a Ghost Hunt is right up your alley. Guests will have the opportunity to search for ghosts and apparitions using high-tech equipment like EMF (electromagnetic field) detectors, infrared temperature guns, K-II meters, and the Mel Meter. An adults-only Ghost Hunt explores UTC&apos;s campus and the Citizens Cemetery, while a more kid-friendly Ghost Hunt takes place downtown. Tours and hunts last approximately 90 minutes, though an extended tour along the new route will be added soon for those who want even more. “Well-behaved” dogs are allowed on all tours except the cemetery hunt. Kids are welcome on the tour at your own discretion. No one is going to jump out and scare them, but the spooky stories might have them sleeping in your bed several nights after. Chattanooga Ghost Tours celebrated their 10-year anniversary in June of 2017 and were recently named one of the Tennessee Small Business Champions in a national contest sponsored by SCORE and Sam’s Club. They were also named one of the Top 10 Ghost Tours in the U.S. by TripAdvisor and USA Today. They are located at 57 E 5th St in downtown Chattanooga.